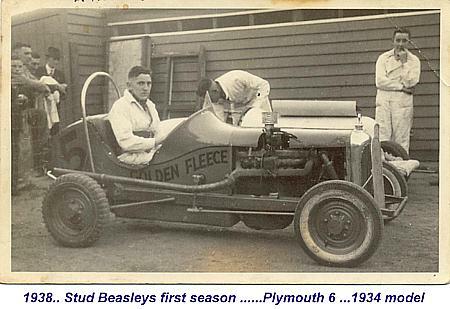 Victoria' s first family of Speedway racing, the Beasleys. 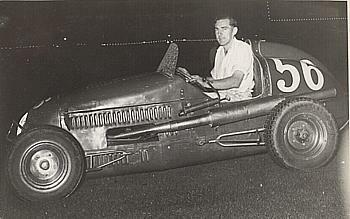 Arthur "Pop" Beasley made his debut as a "Thunderbug" with a home made car in races at the Penrith Speedway, NSW in 1928. Among other things the car had two bucket seats and didn't even have a coat of paint. 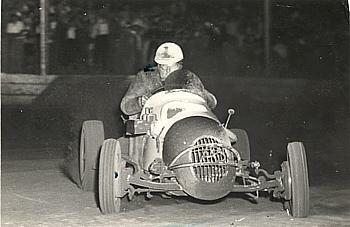 Arthur Beasley, "the dark horse" of the meeting won every event he entered and took home prize money of 170 Pounds, a small fortune in 1928. Before the first World War he had worked as a fitter and turner and when the War came he gained his parents permission to enlist, at the age of 17, in 1916. 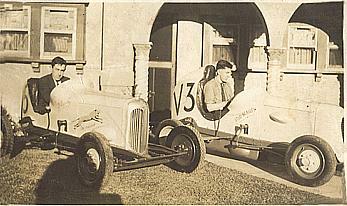 In 1933 Arthur took 6 1/2 hours off the light car record from Sydney to Brisbane and later broke the Sydney to Melbourne record as well. He won the Phillip Island ( Vic.) 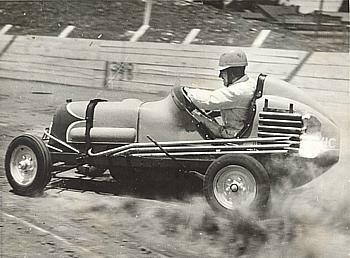 Grand Prix in 1938. A wartime romance led to marriage and the young Beasleys, Alf and Stud, were on the scene when the second World War broke out. Stud and Alf both joined up and served their countrty. Arthur joined up again and joined his boys in the Army. 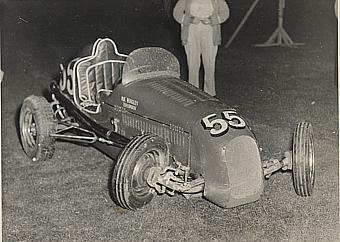 After the War the Beasleys , as a family in Speedway, had it all their own winning way. 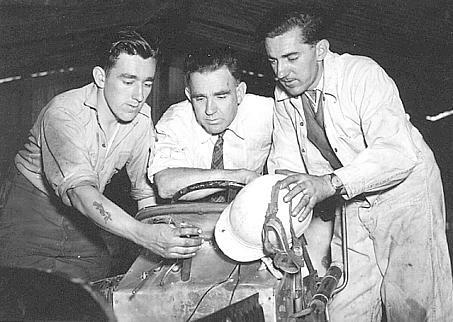 Arthur eventually retired from racing and the boys carried on the tradition, racing in most Australian States against Australian and International drivers and their cars. 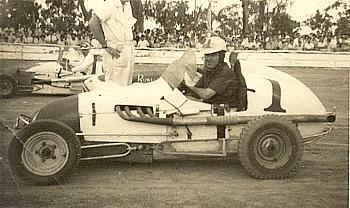 Alf lost his life in a Speedcar accident at Tracey's Speedway, Maribynong, Victoria on 11.1.1958. 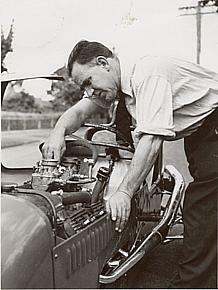 "Pop" Arthur Beasley looks over the V860 of son Stud. 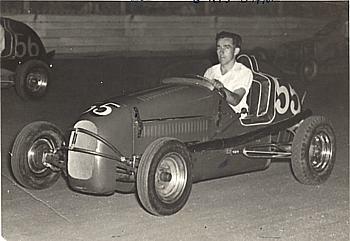 Alf and Stud in their early midgets. 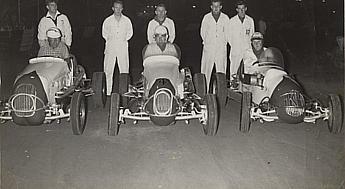 Alf, Stud and Kevin Hahn line up at Tracey's Speedway Maribynong, Melbourne. 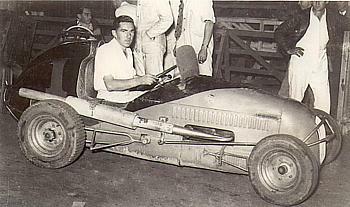 Alf in the V860 # 55. Stud in his V860 # 56. Alf in # 55 with Stud up high in # 56. Brisbane Qld. 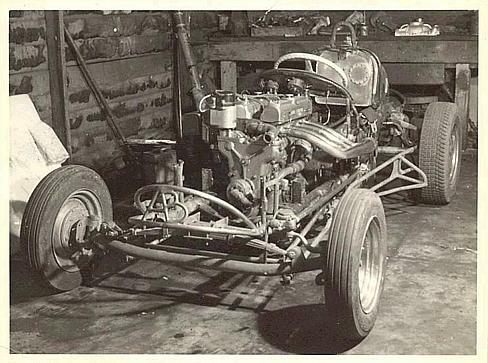 The Edlebrock V860 of Alf's with a bit more toe-out than necessary. 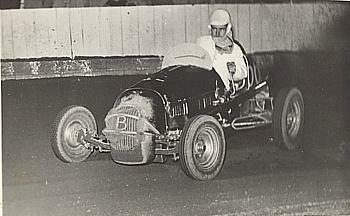 Alf in the Lea Francis engined # 1 midget. Alf and the Lea Francis in a lovely slide at Tracey's. The fabuous Beasley Lea Francis midget without its clothes on. 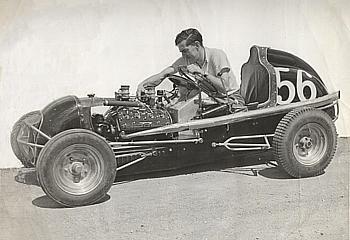 Stud looks over the magnificent Edelbrock Ford V860 # 56. 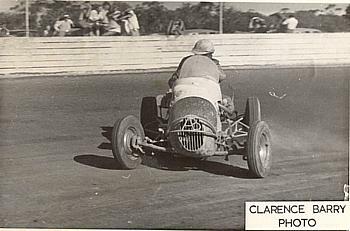 Stud using a bit of handbrake through a turn at Kilburn Speedway , Victoria. Stud with the # 1 on the tail of the V860. A top head on shot of Alf in the Lea Francis. 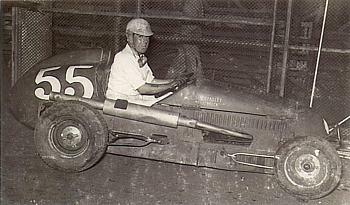 Stud in a "Rocket" car. It looks like Alf in the V860 has been lowered to the road at the rear by some planks. 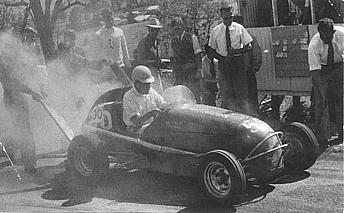 The wheels spinning for a standing start at a hillclimb. 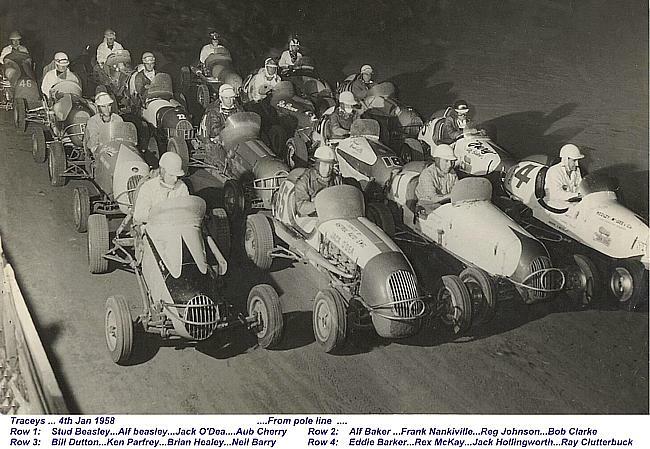 Stud and Alf line up with the field at Tracey's 1958. Thank you to the Beasley Family and Garry Baker in Victoria for allowing me access to this fabulous pictorial record of a famous Speedway family.